Today Rob, Isabella and me went on a picnic, it was a but windy but we found a lovely little area were there was shelter from the wind and sat down with Bella to eat some chocolate and wotsits. 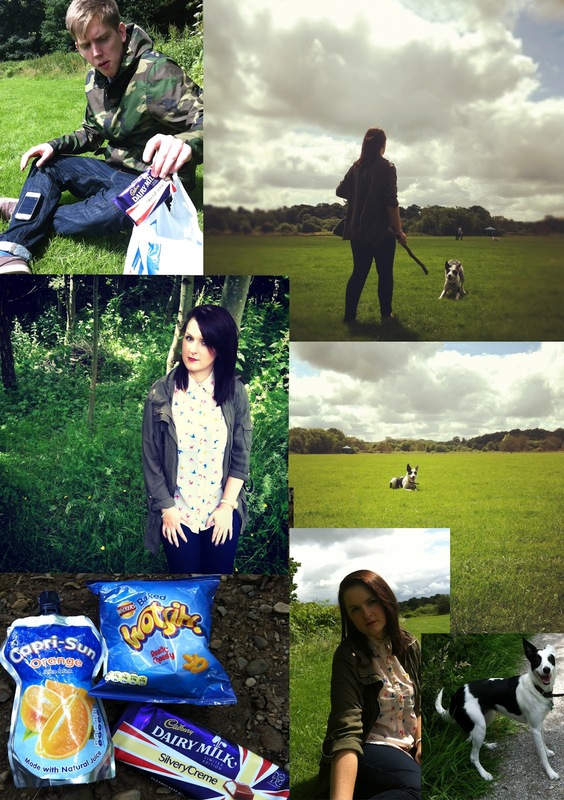 not really a good picnic with the food choice but it was good for relaxing and having some fresh air. Bella had fun playing with her stick and I got some outfit post done for you guys :) such a lovely park and it was good to get out for a bit. love going on walks with Isabella she is such a good pup. here is a little video of my Bella :) took on my Iphone.